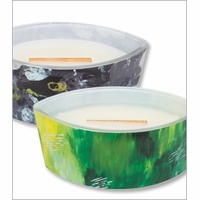 The HearthWick candle lets you experience the cozy comfort of a glowing fireplace anywhere in your home with its soothing crackle and long, dancing flame! 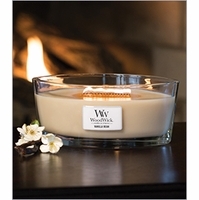 Like the classic WoodWick candles, HearthWick candles come with a natural wooden wick. 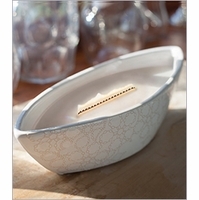 The revolutionary new design provides a much wider wick to create an effect reminiscent of a welcoming hearth.